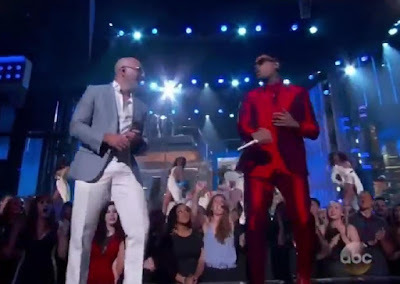 Following an introduction from Jennifer Lopez, Chris Brown and Pitbull brought “F-U-N” to Sunday’s Billboard Music Awards. Breezy wowed with his dance moves, donning a metallic red suit, while Mr. Worldwide loosened up the Las Vegas crowd. And there was plenty of eye candy to go around.